In such strident and turbulent times it perhaps timely to consider this album of gentle pastoral and whimsical calm by one of the founding members of Genesis, Anthony Phillips. Wise After the Event, released in 1978, was Anthony Phillips’ second solo album, following his illness-related departure from Genesis in 1970. 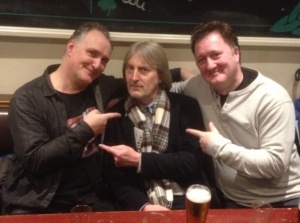 After taking time out to formally study music and become a music teacher Phillips eventually commenced his solo career with the help of Mike Rutherford on 1977’s Prog classic The Geese and the Ghost, which achieved some success. Initially Phillips had wanted to follow up that release with an album in a similar vein but discussions with his management led him to make a more song-based album. It also needs to be remembered that Wise After the Event was being produced in the Blitzreig atmosphere of the Punk revolution of the late ’70s in which extended progressive rock was frowned upon, and rock artists generally were being encouraged to produce less ornate pieces in favour of shorter, song-based and more ‘commercial’ music. Maybe it’s significant that in the same period of Phillips’ first two solo albums his previous band mates and contemporaries went from Wind and Wuthering to …And Then There Were Three. 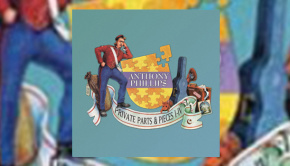 Regrets is a mournful song of lost love, and most clearly features Anthony Phillips’ distinctive wistful, cracking voice conveying heartbreaking emotion in the only song on the album with orchestration. Written in 1975 it shows the slow-burning nature of his song writing. 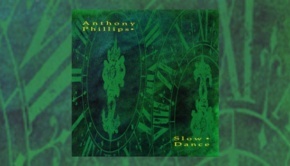 Phillips had previously used guest singers on The Geese and the Ghost but this song’s delicate beauty justifies Rupert Hine’s encouragement of Phillips to sing his own words to express his own character. The peculiar rolling gentle rhythms of opening track We’re All as We Lie immediately take us to an alternative realm in which major figures in history engage in a nice round of golf, right up to Buzz Aldrin on the Moon! The delightful artwork, by Peter Cross, features images from across the album, most notably a giant Squirrel eating a golf ball on the Moon. In an interesting little footnote, the album track listing changed after the artwork was completed so there are some elements in the picture that do not feature on the album as these songs did not feature. This process of change is also shown within the album. Some songs, such as Birdsong and Reprise fades away only to return with a gentle, lilting coda, indicating that Phillips may have intended a more continuous, narrative album with connecting pieces. Birdsong was originally written just after Phillips left Genesis and has echoes of Genesis’ Trespass album, opening with a delicate, tremulous voice and acoustic guitar. Mel Collins provides beautiful flutes that appropriately hover about the song, and Caravan member John G. Perry’s subtle bass underpins the piece. Later on the song takes a lovely flight with Phillips on 12-string guitar in a passage most reminiscent of his former band. However, any expectation that this album will travel down more epic prog rock territory is soon dispelled by the simple ebbing and flowing musical tides of Moonshooter which is one of the best songs to showcase Phillips unique vocals. In contrast, later track Pulling Faces has a range that perhaps uncovers some of the limitations in Phillips’ singing, but on the whole he handles vocal duties with charm and sincerity. 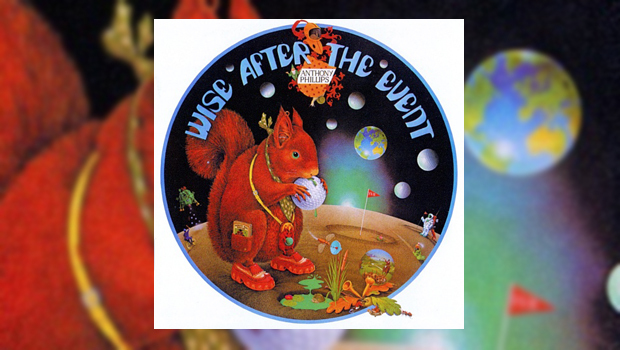 Title track Wise After the Event is an eerie and lengthy piece with a strange, other worldly feel. This track was written on an electric 12-string guitar Phillips bought in New York on the promotional tour for The Geese and the Ghost, Phillips saying it “helped me get in to the slightly bigger chordal approach”. Yet another song to feature a false ending, it plays out with a dream-like coda. This lengthy piece demonstrates the subtle and perfectly judged drumming of Michael Giles, once of King Crimson, and such is the unusual nature of this song that in some ways it does bring to mind that unique band. Greenhouse brings us back to more familiar melodic territory with lyrical, musical and vocal hints of The Beatles in their psychedelic phase. The trippy feel is continued by the gossamer thin, floating opening of Paperchase as the song’s narrator seems to focus positively and supportively on the memory of beautiful summer days from the depths of winter. Any sense that Phillips may have withdrawn into a world of pastoral whimsy is dispelled with the dark theme of animal slaughter in Now What (are they doing to my Little Friends), apparently inspired by a TV programme about seal culling. Phillips plaintive voice perfectly glides over the sad and emotive music, soaring with emotion and restrained anger in the choruses. The song drifts away elegiacally, before appropriately fading into dark, ominous sounds. The demise of another creature concludes the album with a song, again written shortly after Phillips’ departure from Genesis, called Squirrel. This is a lovely piano piece, showing Phillips’ skill on that instrument, musing on his observation of a dying squirrel he found in the countryside. An unusual and beautifully heartfelt ending for a record from a unique artist. 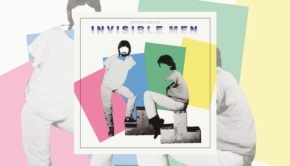 Disc two provides a range of demos and instrumental mixes for the album, with some elements that did not make the final edition. The instrumental versions, particularly Now What (are they doing to my Little Friends), are particularly engaging and reveal more fully Phillips’ skills in composition, which he further developed later in his career. Whilst not essential they are interesting sketches to compare with the final songs, and were remarkably well formed already before they were developed further in the studio. Discs three and four provide a 5.1 Surround mix and the original stereo version that will delight those with such technology or a desire to hear it in it’s original form.